No smoke without Fyre: A GAS mock experience has been made | SHEmazing! 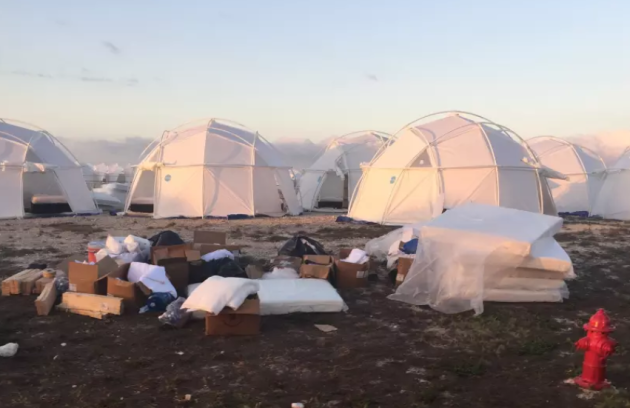 The Fyre Festival has gone down as one of the greatest fails of the modern era; the celebrity endorsed festival was branded as the elite, luxurious partying experience. Think Coachella but on a tropical island. The intention of the festival was to promote the Fyre music booking app, scheduled to go ahead on the Bahamian island of Great Exuma in April and May of 2017. Social media influencers and socialites like Kendall Jenner, Hailey Baldwin, Emily Ratajkowski and Bella Hadid were all promoters of the festival, many of whom failed to mention that they were being paid to promote it. As everyone figured out pretty damn quick, the event was a complete SHAMBLES. Problems relating to food, security, and accommodation arose, and they also had no artists to play as they couldn't even travel to the island. The organisers are now the subject of at least eight lawsuits, such as defrauding ticket buyers and millions of dollars of damages. CEO of Fyre Media Inc, Billy McFarland, has been charged with wire fraud and in 2018 was sentenced to six years in prison. Hulu and Netflix have each released documentaries on the failure, Fyre Fraud and Fyre: The Greatest Party That Never Happened. The festival and it's employers had a hugely negative impact on people who live on the island itself. A GoFundMe was set up for one amazing woman living on the island who helped to cater for the festival, but was never given any form of payment. The GoFundMe has now SURPASSED it's $123,000 goal, miraculously. Maryann Rolle, who owns the venue, gave $50,000 of her own money into the event to attempt to cover costs and pay the additional staff who were flown in to meet demands. In the description, she wrote; "As I make this plea it’s hard to believe and embarrassing to admit that I was not paid…I was left in a big hole! My life was changed forever, and my credit was ruined by Fyre Fest." Luckily, the account raised $128,000 in just one week, so Maryann can get her life back on track. Oh, the follies of rich people, typically tramping on those less fortunate than them. Fulfilling the stereotype never looked so trashy. 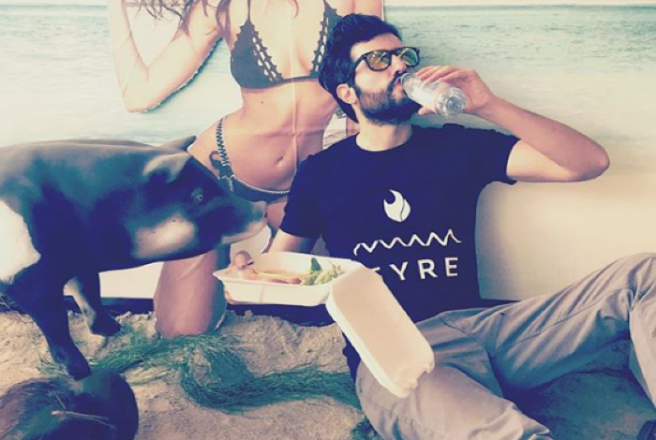 Now, some absolute GENIUS has created a mock Fyre Festival to take the absolute PISS out of influencers who paid thousands of cash for trash, and marketed it without mentioning their affiliation to their followers. An artist has created an INSTALLATION which allows members of the public to pretend they're at the real life Fyre Festival, and it's hilarious. Infamous creative The Most Famous Artist (Real name Matty Mo) and his company SelfieCircus have created The Fyre Experience, and we are living for this classy humour. They've got a Bahamas backdrop, cardboard cut-outs of pretentious influencers, pathetic sandwiches to create a realistic portrayal of the shambolic festival. Remember Andy King and the NSFW experience he was told to perform in order to get Evian water through customs? We wonder have they somehow inserted him into their joke..
Bravo, this is pure gold. Visitors to Mo's installation are promised an ''ultra luxurious" experience and VIP packages, only to meet disappointment. The recreation of the 'beach front' hot tub full of Evian bottles and a sandy beach background honestly has us cackling, these lads went ALL OUT. There's an Orange Square selfie spot and fake piggies for all those who want in on the joke. Our personal favourite addition is Billy McFarland in a prison outfit in the background. Gas. 'Ex-influencers' looking for work wielding cardboard signs are also present, naturally. The influencers who were paid to endorse an absolute sham have deservedly been given a slagging. They're already annoying as hell, but when you market something as elitist as a private island festival for thousands of dollars which almost ruins the lives of those who actually LIVE on the island, be prepared to face some serious consequences. Yes Bella Hadid, we're looking at you over our cat-eye sunglasses. The fake private jet also makes a guest reappearance. This was one of Mo's previous installations, and allows people to take those all important selfies and create a glamorous, false illusion for Instagram. Located in Los Angeles, the pop-up 'experience laboratory' is free to attend and celebrities have schedules appearances. We can't wait to see the pics from this, we stan a good slagging.